Brief capsules on new movies worth renting. 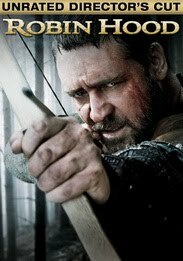 After making four films together, director Ridley Scott and his muse, Russell Crowe, reteam to retell the story of Robin Hood in the same epic style that served the pair so well in "Gladiator." Many a critic threw his arms up at "Robin Hood's" lack of adherence to the comfy tale of the merry man we all know and love, but I found this origin story to be a more-than-welcome addition to a long line of tradition-bound pictures. To boot, Scott brings his usual mastery of atmosphere, giving his film a sweep that greatly elevates the adventure and successfully distracts from Crowe's miscasting. 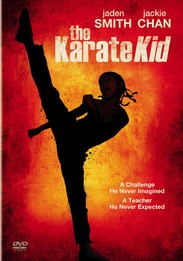 While it's only natural to try to compare the two, whether or not the new "Karate Kid" measures up to the beloved 80s original really doesn't matter at all. The rousing action, graceful storytelling and emotional truth of this unattractive-from-afar remake are more than enough to make it a stand-alone triumph. Throw in a star-making performance from fresh-prince-of-Hollywood Jaden Smith, who meets every demand of a very demanding role, and you've got what emerged as the best surprise of the summer. I'll admit I haven't seen this controversial shocker, but how can anyone resist checking out something so wildly and outrageously perverse? 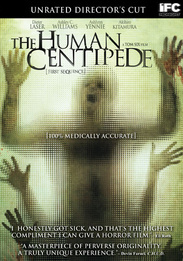 The gist: A crazy German doctor kidnaps two female American tourists and gives them their just rewards for poking around in a foreign land (a la "Hostel") by making them two-thirds of his human centipede -- a working, living unit comprised of humans surgically fused together via their gastric systems. Grossed out? Me too. Now excuse me while I go find myself a copy.